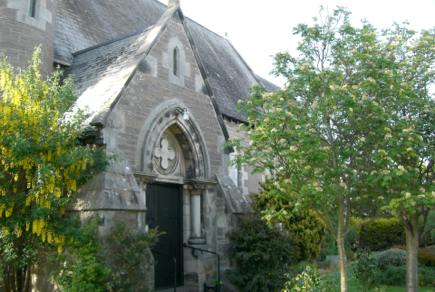 Holy Rood Church Carnoustie is a member of the Scottish Episcopal Church in The Diocese of Brechin of the Province of Scotland and of the world-wide Anglican Communion . The church was built over 100 years ago and sits on the corner of Maule Street and Holyrood Street in Carnoustie. Carnoustie is a small seaside town, well known for its golf links which is 10 miles north of the city of Dundee. We are blessed with an excellent organist and choir who can be heard at the Sunday service as well as special services. Our enthusiastic Sunday School and Young Children’s Group meet during the Sunday Service and after the service there is an open invitation for the congregation to meet in the church for tea, coffee and chat! The Women’s Guild meets fortnightly on a Tuesday in the Vestry Room after the 10am Holy Communion Service. The young people help to sponsor a girl in Malawi, through the World Vision Organisation and organise fund raising events throughout the year. They enjoy writing letters and sending cards at Christmas and for birthdays and find it a very rewarding experience.